QAfter visiting the Day Butterfly Pavilion in Callaway Gardens my husband and I are excited about building our own butterfly garden. We need a plan of action to attract multiple varieties. Can you steer us in the right direction? 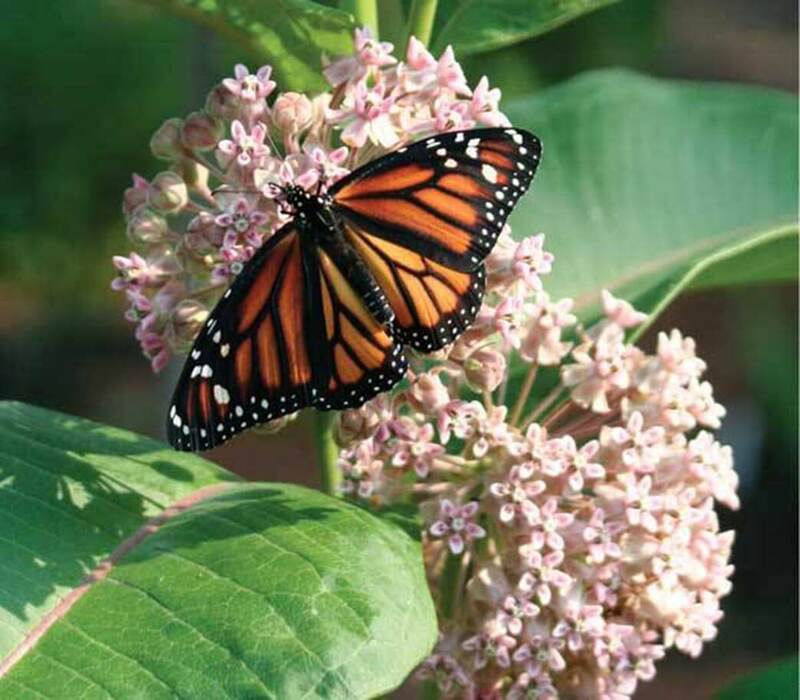 AInviting butterflies to your garden is easy, but these delicate creatures are insects so accommodating their four life stages is the key when planning a butterfly garden. For butterflies to lay the eggs that hatch into caterpillars, host plants are required. Each butterfly species is picky, but some easy plants to start with are parsley and fennel. These and other members of the carrot family (Apiaceae or Umbelliferae) host several swallowtail butterflies. Caterpillars do nothing much but chew and grow, so plant several host plant clumps if you want to get a share for your own use. Try not to locate the host plants in a wide-open area or you will be feeding the mockingbirds instead of rearing butterflies. 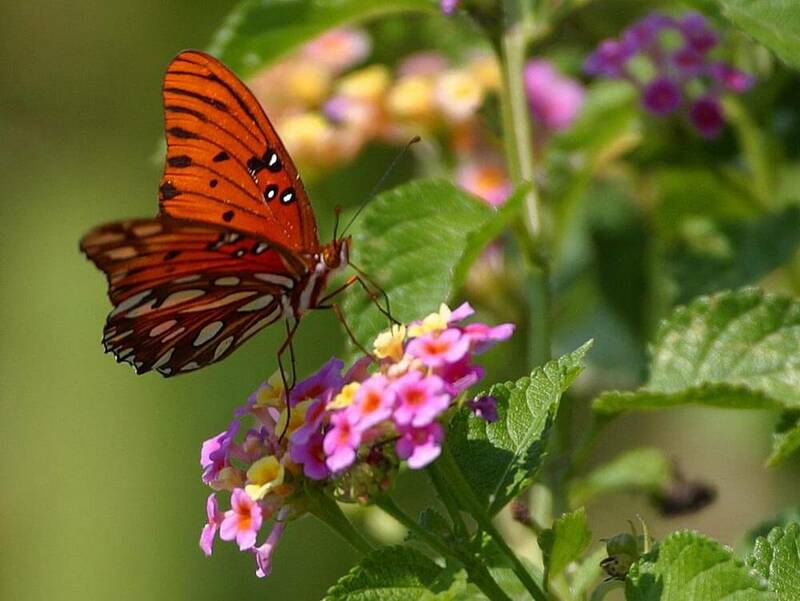 (Photo | Courtest of ACES) Lantana and milkweed are among flowering shrubs or plants which attract butterfly species such as Gulf Frittilary and Monarch. The pupae or chrysalis stage is less need-specific. 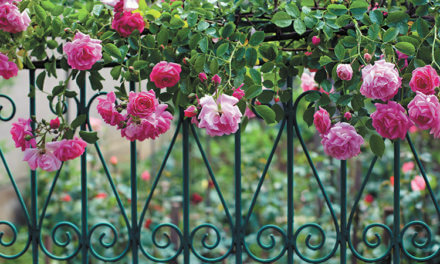 Any sturdy stem or nearby garden bench with protected surroundings will suffice. Once the winged adult insect emerges, nectar plants will be necessary so the cycle can continue. Adult butterflies need nectar for energy. It takes a lot of energy to fly. The complete cycle takes about a month on average. Butterfly season in Alabama is early spring to late fall. 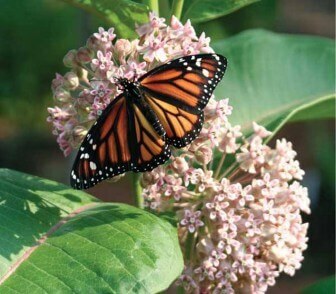 April and May are perfect for starting a butterfly garden. The soil is warm enough for annual seeds, such as Mexican sunflower and zinnia, to germinate. Choose a sunny location for both plant and insect needs. Butterflies are dependent on the sun for body heat. A warm, sunny garden has more productive, colorful plants and butterflies. Stepping stones for the gardener are also heat-collecting spots for butterflies on cool days. Preparing the bed now can prevent many problems down the road. Both heavy clay and coarse sandy soils benefit by adding compost. Compost enriches the soil with nutrients, beneficial microorganisms and much more. 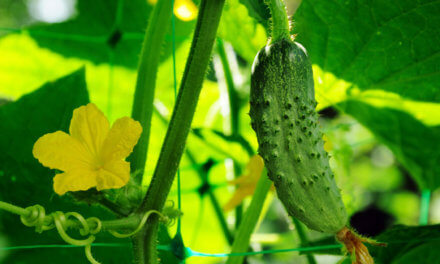 It gives your plants a jump start and ensures their future success. You will want a progression of flowers for use as butterfly feeding stations throughout the year. Choose a variety of plants, including annuals, perennials and woody shrubs. Trees and shrubs provide shelter during storms or on days when it is too windy to fly. Plant diversity also attracts a greater variety of butterfly visitors. Butterflies have co-evolved with certain flowers; for example, some species prefer blooms in clusters, such as coneflowers (Echinacea spp.) and milkweed (Asclepias spp.). Their compound flowers provide one-stop shopping since each contains multiple high-energy drinks. These flowers also provide adequate landing pads for butterflies to walk around while sipping nectar from each flower, thus saving energy for flight. Butterflies sip via a long straw-like tongue called a proboscis, which uncoils to feed then coils back into their heads for easier flying. It is during the feeding process that adult butterflies accidentally pollinate many plants. Large waves of color are also more attractive to a butterfly’s compound eyes than single plants. Choose single flowers over double. Probing a blossom with long, tightly gathered petals can sometimes be impossible. Different butterflies also prefer different nectar sources. Some prefer larger flowers; many prefer smaller flowers. Skippers seem to be especially drawn to purple flowers, while many hairstreaks prefer white flowers. Although butterflies can’t drink from a water container like birds, they still benefit from moist areas. Create a puddle in the garden by depressing a shallow tray filled with sand. It will collect and hold water without breeding mosquitoes. A little soil in the mix will also provide a beneficial mineral reservoir. Finally, butterflies can be harmed by broad-spectrum insecticides. If insect pests become a problem, apply a soap or oil spray so as not to injure the colorful, beneficial insects. Remember to provide host plants specific to the butterfly species in your region. 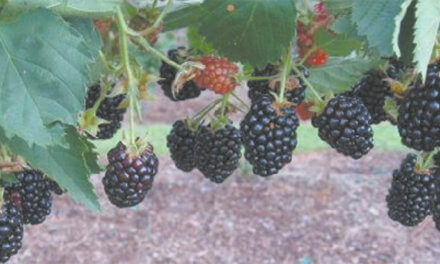 A good beginning resource is ANR 1290 (http://www.aces.edu/pubs/docs/A/ANR-1290/ANR-1290.pdf), published by the Alabama Cooperative Extension. Several butterfly host plants as well as nectar plants are listed. For more in-depth reading try “Butterflies of Alabama: Glimpses into Their Lives” by Paulette Haywood Ogard and Sara Cunningham Bright. It is a full-color, richly illustrated guide to the 84 known species of “true” butterflies (Papilionoidea) found within the state’s borders. Interested in becoming a Mobile County Master Gardener? 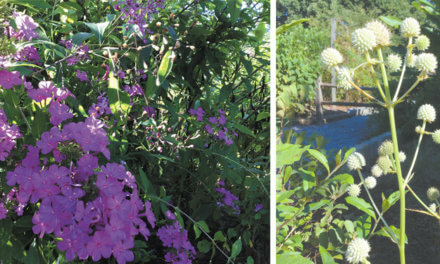 Regional Agent Ellen Huckabay will write a column for the May 12 Lagniappe about the particulars of the Master Gardener Course, which begins on Wednesday, Aug. 10. The deadline to apply is June 8 for classes taking place between Aug. 10 and Nov. 16, from 9 a.m. to 2:30 p.m. For more information call Diane at 251-574-8445 or email jda0002@aces.edu. When: Monday, April 18, noon to 1 p.m.